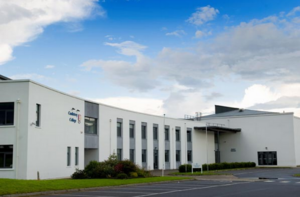 You may recall how yesterday RTÉ’s Emma O’Kelly reported a father of a pupil in Limerick secondary school Castletroy College had requested that his daughter be able to opt out of studying religion in the school. His request was initially rejected and he was told religion is a mandatory subject. But, on further reflection, the school agreed last night to let the girl opt out of the subject. However, even though she’s now allowed to opt out of the subject, she will still have to remain in the classroom while the subject is being taught. Posted in Misc and tagged Castletroy College, Limerick, religion at 5:23 pm on November 24, 2015 by Broadsheet. This morning, RTÉ reports that a father of a pupil in Limerick secondary school Castletroy College last week requested that his daughter be able to opt out of studying religion in the school. His request was rejected and he was told religion is a mandatory subject. The school is now looking into it further. Posted in Misc and tagged Castletroy College, religion, subject at 9:54 am on November 23, 2015 by Broadsheet.